New SBC Voices logo & artwork across the blog and social media. 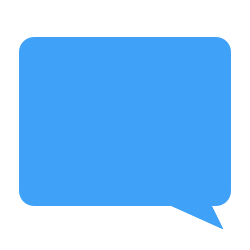 The speech bubble seemed like the perfect visual icon for what we do here: say what we think and then give you the chance to talk back to us and to one another. We’ve got an updated Team page and updated About page which also includes our new comments policy. We’ve reworked and simplified our post categories so that feature will be more useful. For instance if you want to read posts about the IMB, choose that category on the sidebar and it should help you find what you’re looking for more easily. This will probably be the area you notice the most difference. We’re still using the WordPress comments database so past comments are preserved. A new plugin adds some useful features we hope you’ll find helpful. Some of these features we’re trying to see how they work and if we like them. Your feedback is appreciated if you run into problems with something not working the way it’s supposed to or if you do/don’t like aspects of the new system. You can now edit your comment (for misspellings, typos, clarification) for 15 minutes after you post. You can vote comments up or down. 3000 character limits on comments. Comments over 200 words now get a “read more” link with a goal of rewarding brevity but still allowing you to comment at extended length if you want. Just be aware it will take extra effort on the part of other readers to get to see the end of your lengthy comment. The character & word length settings are easy to change if a lot of you feel like you need a higher character limit or we see that too many of our comments are getting caught in the “read more…” area. We’ll also see how the comment voting goes, it’s easy to turn off if we decide we don’t like it. Overall we hope these changes will allow us to serve you better and help SBC Voices continue to be a go-to resource for Southern Baptist news & opinion. As one who suffers from a debilitating case of prolixity, I take this as a personal affront! As a Baptist, I consider all change an affront to our faith. On Ben’s suggestion we’ve enlarged the font for readability. The comment voting feature I like in theory but actually seeing it in practice I wasn’t wild about. Plus it didn’t seem to work well on mobile, so we’re turning that off for now. We’ve also turned off the need to enter a captcha code for guest commenters, so hopefully that will be more convenient. Please let us know if there are other issues you’re seeing. Since the change, I no longer receive the daily posts. Does the new format have anything to do with that or is it only my computer? The last day I received a post was April 2. Enjoy reading your thoughts.